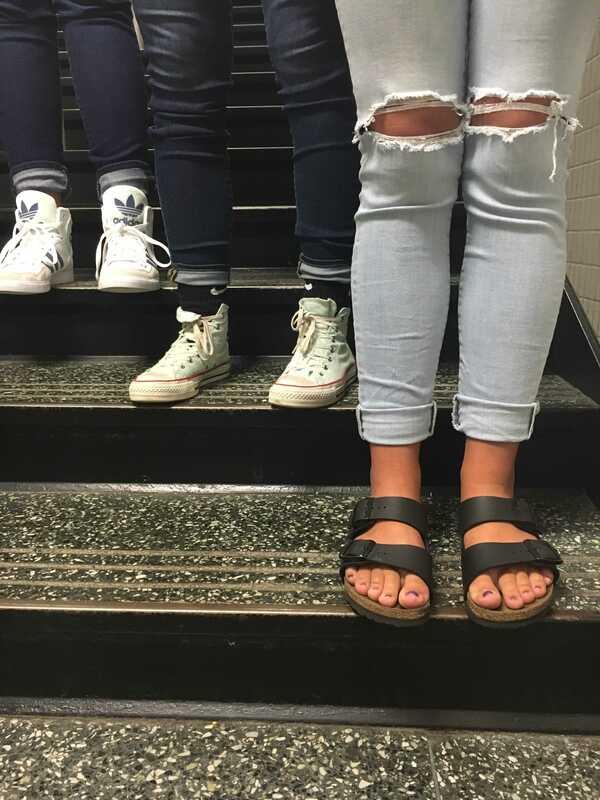 Kelsie's Kloset: New Year, New Style - NCHS Live! A new school year has arrived and that gives plenty of time for new trends. As I, Kelsie O’Brien, approached the new year I brought with me a new style. What is my new style? Well I would call my style preppy edge. But what is preppy edge? I’ve established preppy edge as almost in correlation with a young third grade teacher. It’s professional but casual and has a bit of edge to the look. My key pieces I use to achieve this look would first have to be blazers. 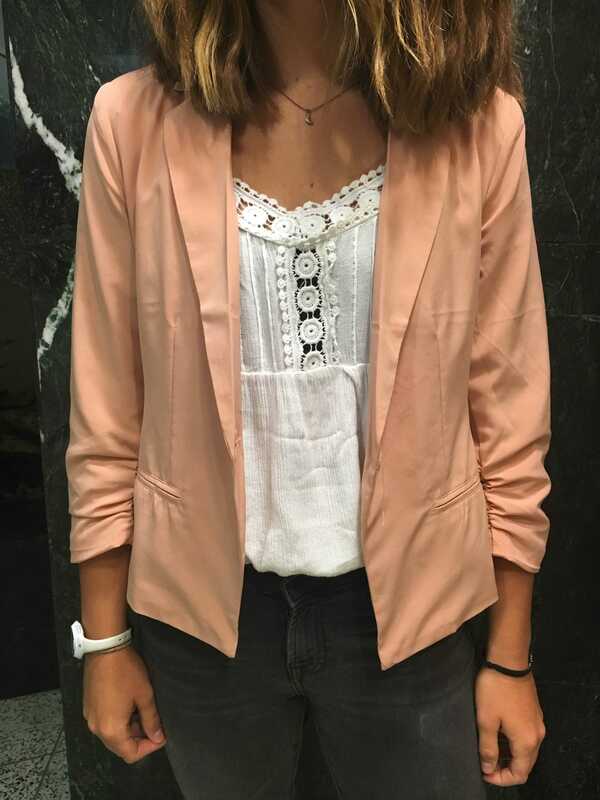 You can get blazers in many colors and styles, and adding a blazer to your outfit can take your casual outfit right to something that is a bit more professional or preppy. Another go to thing I wear would be collared shirts, they can be cute by themselves or with a jacket or blazer. The last key piece I have would be colored pants, you can wear different colored pants with just about anything as long as you are good at mixing colors together. My style is not the only trend as there are many other stylish things being worn lately in the North Central halls. One being boyfriend jeans. These jeans are usually worn in the normal jean colors and are a bit baggy but look good with both tight and loose shirts. The last trend that I’ve noticed is a roll in jeans. It’s very cute and can easily draw attention to your shoes. Add one or two rolls to the bottom of your pants and you are ready to go. Next story 4Peat for Boys Tennis?